DIRECT FROM LOURDES - Glass Votive Light Holder - Faith, Hope & Love. 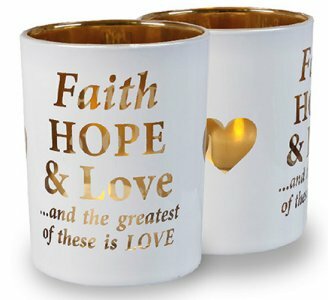 Glass Votive Light Holder - Faith, Hope & Love. Glass votive light holder with tea light and gold effect interior.